this Beige Menson dining chair is a fantastic addition for any modern and contemporary setting. Handcrafted and carefully built by experts, this chair featuring a chrome finished frame under a curved beige seat with a black stitch PU seat will astound and impress upon many generations. 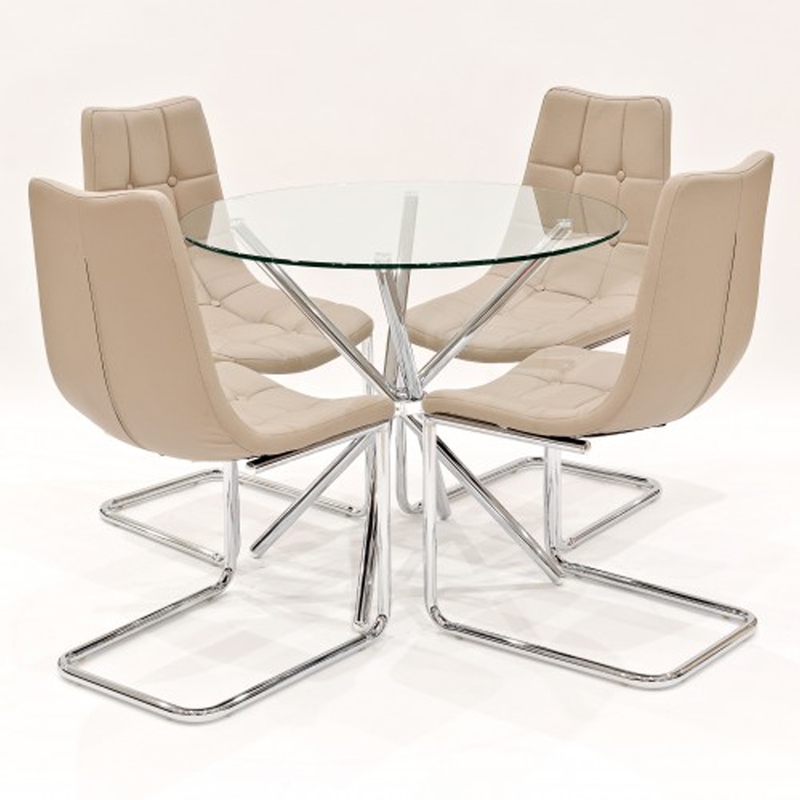 Sitting alongside this beautiful Criss Cross Glass Dining Table with a round table top and chrome base this dining set is ensured to last a lifetime and give your interior a modern feel.